Last Friday the bulls reached a new local maximum. It looks like they aren’t going to stop and the Index may continue growing up during the next several days. Later, we can’t exclude a possibility of a correction. 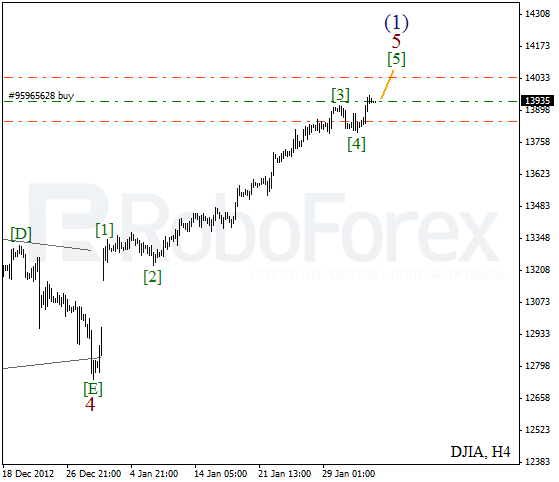 As we can see at the H1 chart, the Index finished zigzag pattern inside the fourth wave and then formed an initial ascending impulse. After a local correction the instrument is expected to continue growing up inside wave (3) and may reach the level of 14000 in the nearest future. It looks like the bulls aren’t going to give up, so the price may continue growing up inside wave  of C in the nearest future. 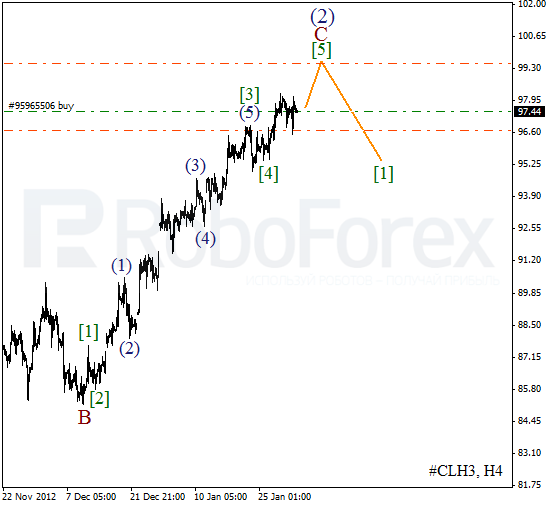 We can’t exclude a possibility that during this week the buyers may reach the level of $99 per barrel of Light Sweet. 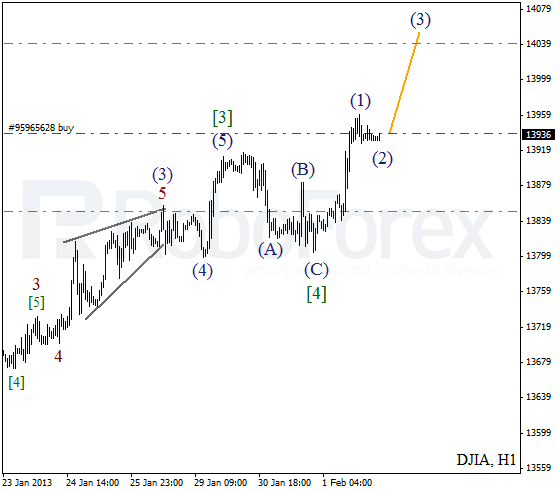 As we can see at the H1 chart, the price is completing the second wave inside wave . 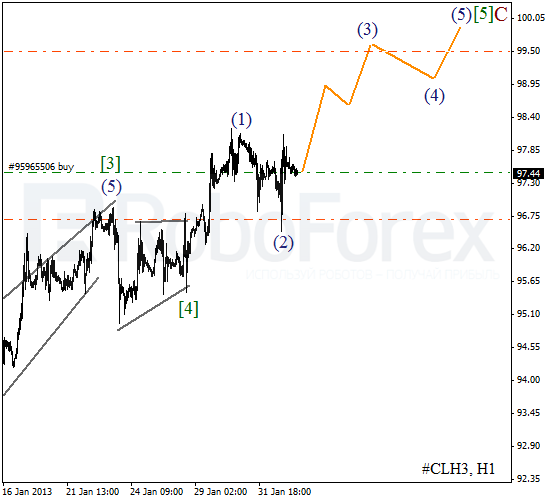 On the minor wave level Oil formed an initial ascending impulse. In the near term, we can expect the instrument to break a local maximum.